Petrol and diesel vehicles will be banned during peak hours in parts of Shoreditch from July 2018. Proposals were signed off after our consultation showed support from 70% of local (based within 10km of the proposals) respondents (56% overall support). Motorists who are caught flouting the rules on the designated roads in could face fines of up to £130. 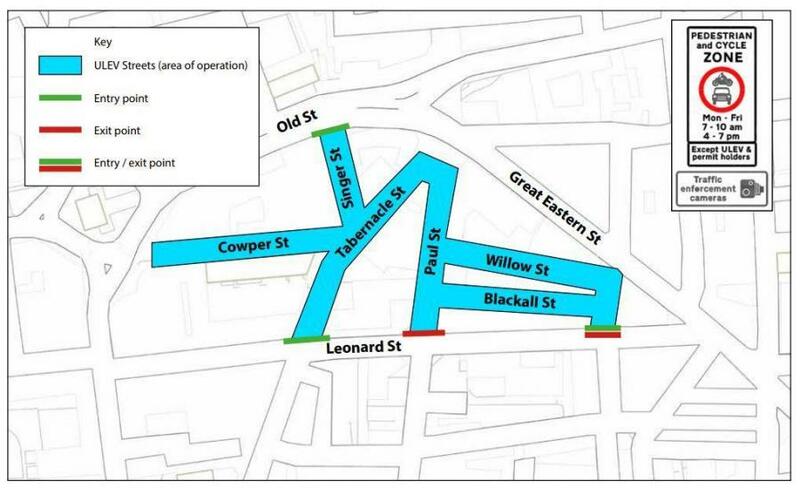 The scheme will see all but the cleanest cars banned from nine streets between the hours of 7am and 10am and 4pm and 7pm. During these peak times, only electric cars, e-bikes, the newest hybrids and hydrogen vehicles and bicycles will be allowed to travel on the roads. Cllr Feryal Demirci, Hackney Council’s Cabinet Member for Neighbourhoods, Transport and Parks, said: “The streets around Shoreditch suffer from some of the worst air quality in London – ultra-low emission streets will have reduced levels of air and noise pollution, make it easier and safer to walk and cycle and improve the character of the area for all residents and businesses. “To start with we’re banning petrol and diesel vehicles in the morning and evening rush hours to reduce people’s exposure to dangerous fumes and make the streets safer when people are walking and cycling to and from work and school. Cllr Claudia Webbe, Islington Council’s Executive Member for Environment and Transport, added: “Air pollution is a huge issue for Islington residents living, working and learning in the City Fringe, and we are proud to be leading from the front with Hackney in this pioneering scheme – the first of its kind in the UK. Deputy Mayor for Environment and Energy, Shirley Rodrigues, said: “By developing innovative measures to tackle toxic hot spots, London’s communities can make a real difference in reducing the number of dirty vehicles on our roads.